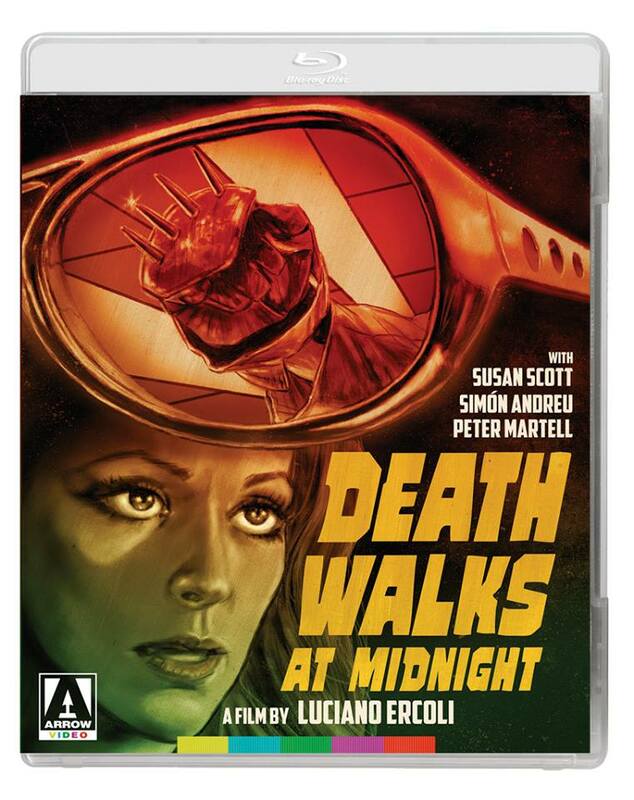 Although less celebrated than some of his better known giallo peers such as Dario Argento, Mario Bava and Sergio Martino, late producer-turned-director Luciano Ercoli contributed three hugely entertaining and memorable entries to the genre – including this, his 1971 sophomore effort, Death Walks on High Heels. Spanish-born model and actress Nieves Navarro stars as Nicole, an exotic dancer who finds herself terrorized by a black-clad assailant determined on procuring her murdered father’s stolen gems. Fleeing Paris in hopes of evading her knife-wielding pursuer, Nicole arrives in England only to discover that death stalks her at every corner. With the scene-stealing Navarro at its center, Death Walks on High Heels manages to subvert the conventions of the giallo film by having a ballsy, well-rounded female protagonist to root for – representing a welcome departure from the neurotic stereotypes found elsewhere within the genre. 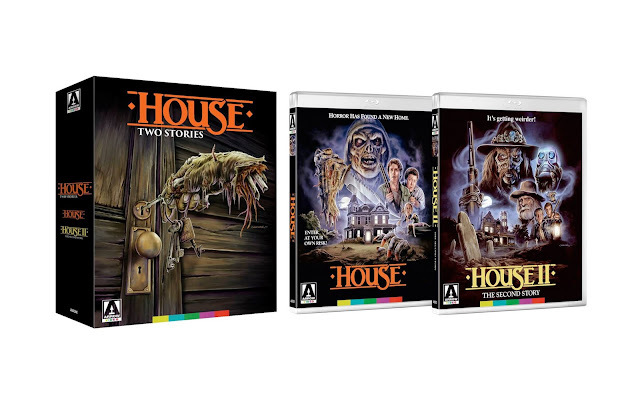 -Uncut Version, for the first time on Blu-ray! 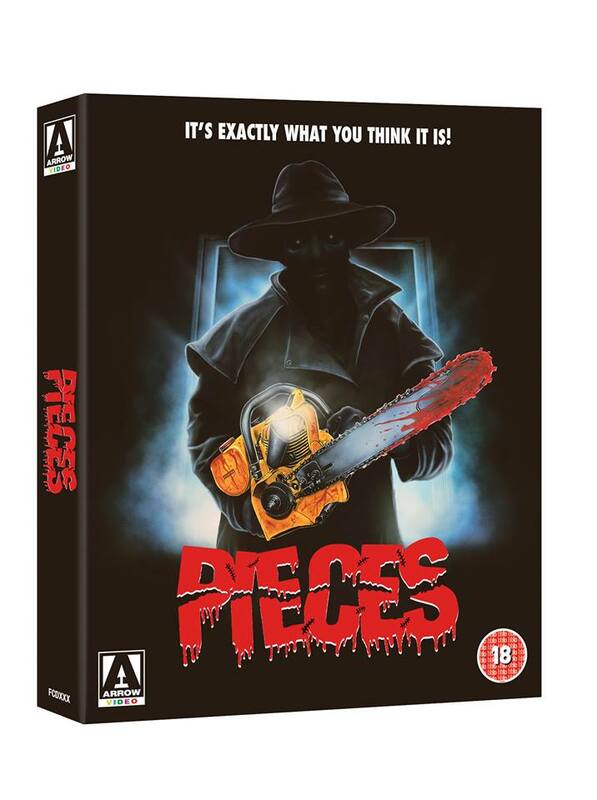 Pieces is the original sickening slasher classic, now restored in glorious 4K! From Juan Piquer Simón, director of the equally unhinged Slugs, Pieces is the original sickening slasher classic, now restored in glorious 4K! 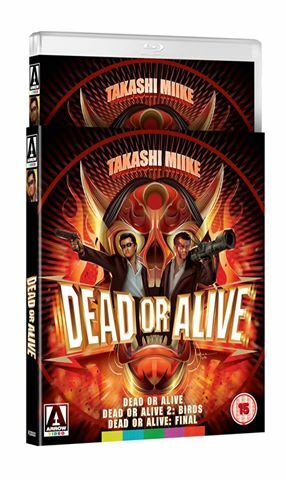 A Boston college campus is being terrorised by a black-clad maniac who collects body parts from his unfortunate co-ed victims. As the corpses (and red herrings) begin to pile up, can Professor Brown (genre veteran Jack Taylor) unmask the murderer before his morbid puzzle is complete? 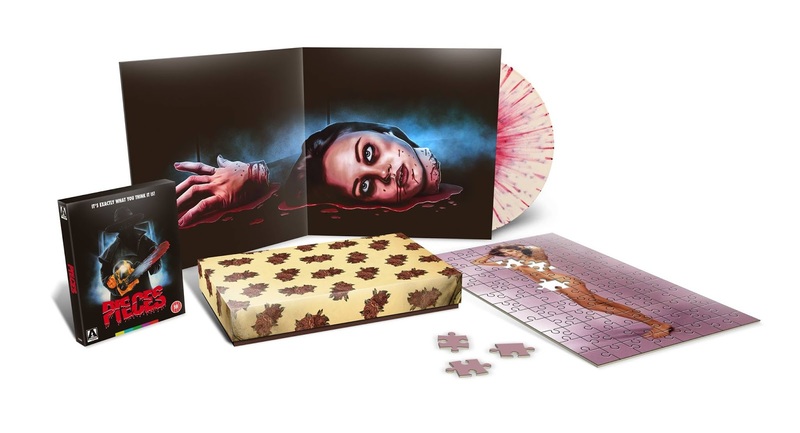 Boasting some of the most outrageous gore set-pieces ever to splash their way across the screen (including a particularly memorable slow-motion evisceration atop a waterbed), Pieces is an essential slice of Spanish splatter and more gruesome than ever on Blu-ray.